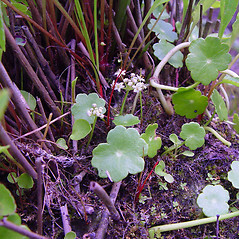 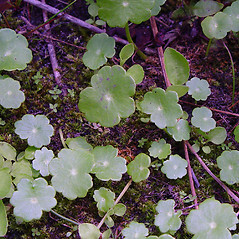 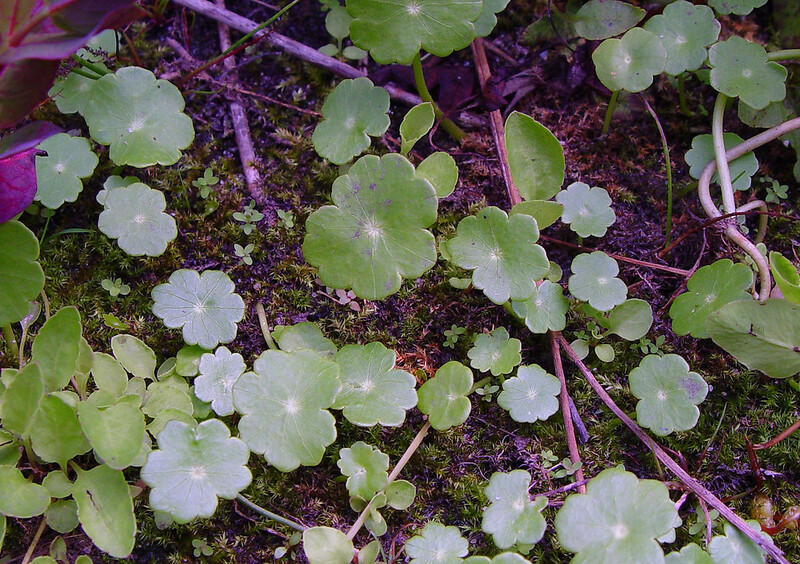 Many-flowered marsh-pennywort is a native of pond shores in southern New England. 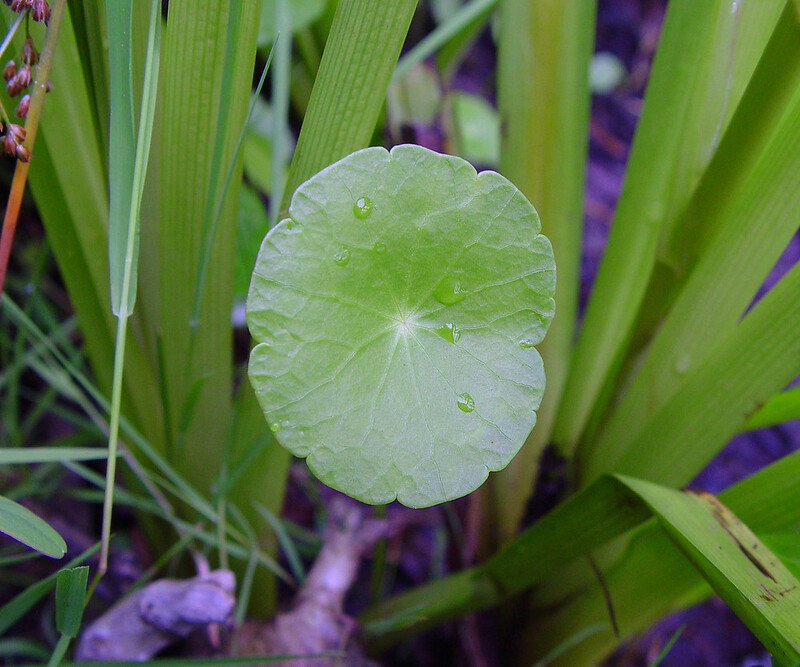 The Seminole used this plant to treat cough. 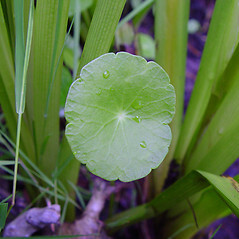 leaf stalk attached to margin of blade and umbels without or with a very short stalk (vs. H. umbellata, with the leaf stalk attached to center of underside of blade and umbels on an evident stalk). 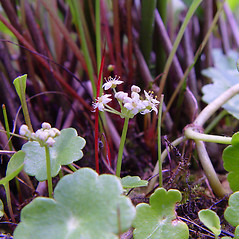 inflorescence appearing to be a spike or raceme with 2–12 whorls of flowers, each whorl with mostly 2–7, and schizocarp mostly 3–4 mm wide (vs. H. umbellata, with the inflorescence usually a single umbel at the summit of the peduncle, with mostly 15–35 flowers in the lowest whorl, and schizocarp 2–3 mm wide). 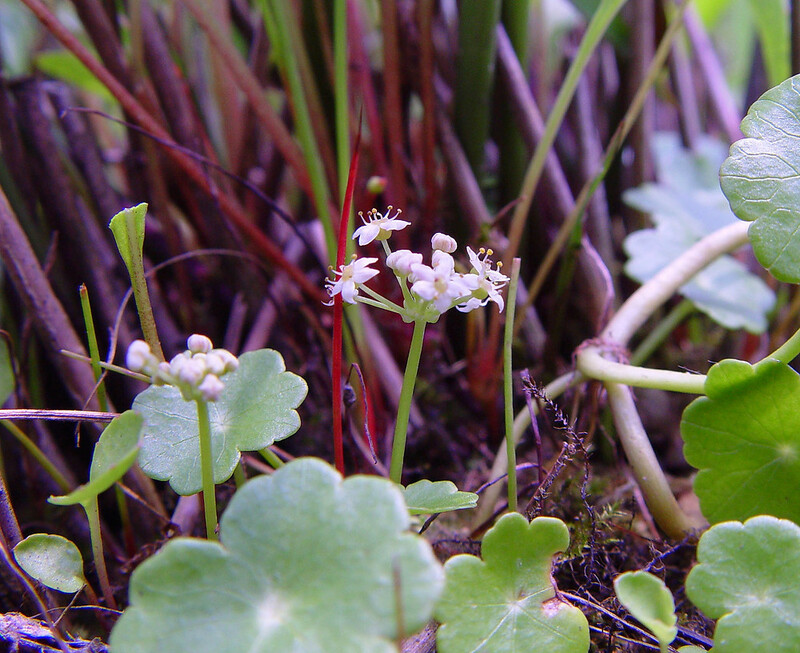 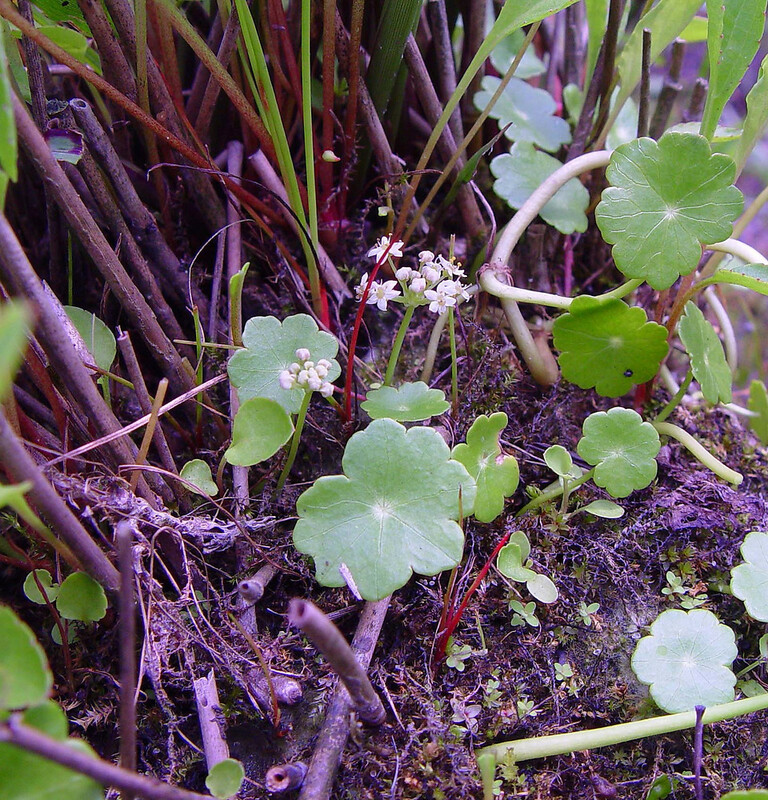 many-flowered marsh-pennywort. 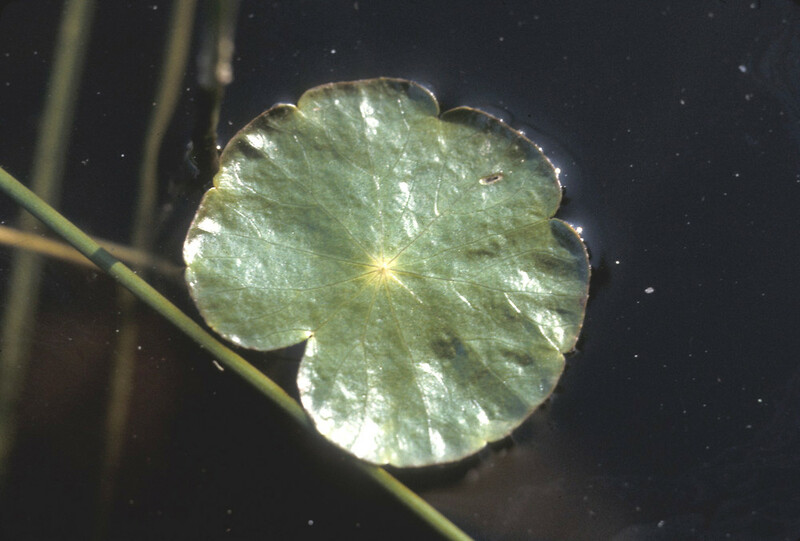 CT, MA, RI. 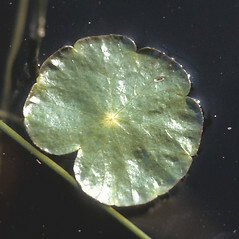 Pond shores, outlet margins.